Special! Maui Sunset 112A ~ 1 BR, 2BA, Ground Floor, Ideal for Families! Nicely done 1 bedroom, 2 bath ground floor condo with partial ocean views. Fully stocked kitchen, washer/dryer, queen bed, sofa sleeper w/ an additional sofa futon. Beautiful, stunning new shower just went in Master bathroom, along with 2nd bathroom just remodeled. Luxury... you'll love! A walking, windsurfing and kite surfing beach fronts this oceanfront condo complex in North Kihei. A couple of minutes away from Kamaole Beach I, one of the great beaches on the sunny South shore. Air conditioning in living room and bedroom. Complimentary High Speed Internet + WIFI. 7 night minimum, please! This is a beautiful unit, loved the washer and dryer (very nice) loved that their was no carpet and the shower in the master bath is lovely. Aloha Joan and John, So glad you had a wonderful stay at Maui Sunset 112A. Yes, that spa shower is pretty awesome! A hui hou we meet again! We visit Maui every year and always stay at Maui Sunset. Our home away from home!! We love having you all back every year! We come to Maui every year and love staying at Maui Sunset. Our one bedroom condo at the Maui Sunset was a perfect place to spend a relaxing 16 days of fun in the sun. 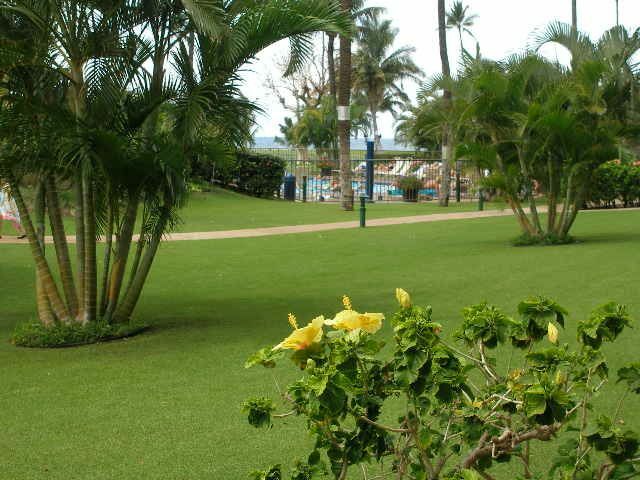 The grounds of the Maui Sunset are impeccably maintained, and the condo itself had everything you could need. We enjoyed staying in Kihei because it is so close to seeing the rest of the island, and has inexpensive restaurants. We particularly enjoyed Coconuts Fish Cafe, an easy stroll from the Maui Sunset, that has the best fish tacos I have ever tasted. Thank You for taking the time to review your stay at the Maui Sunset. We hope to assist you with your future Maui Vacation. My family and I enjoy staying at Maui Sunset each time we visit. Definitely return clients.